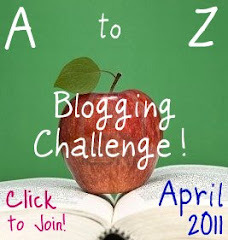 Today is the fifth day of the A-Z Blogging Challenge. Just to remind you, I’m doing an A-Z of human emotions, feelings and mental states.Today is the letter E and so I’m going to write about Envy. I whipped up a short story for you on my lunchbreak yesturday, here goes. There she was again, flirting with him. Casually flicking her long golden hair over her shoulder and leaning towards him, cleavage on display. She was shameless. She’d only been at this school five minutes and already she acted like she was best friends with everyone. Clearly she had no sense of boundaries- he was my boyfriend after all. “Ahem”, I coughed loudly and they both turned around casually. Rachel’s flawless smile spread across her face like a pink bow. Durham. My first choice of university. The university that made it clear they didn’t want me. I had thought my grades weren’t quite good enough, yet Rachel and I got the same A level results. What did she have that I didn’t? “Congratulations” I said frostily, just as the bell rang. Scott furrowed his brow as if confused by my sudden unfriendliness. It looked like he wasn’t going to move from his seat next to Rachel, so I was forced to take the seat on his opposite side. I didn’t like the way he was stuck in the middle between the two of us and was about to try to rearrange when Mrs. Black strolled through the door, her arms full of art materials. I perked up a bit then, remembering both that art was my ultimate favourite lesson and that it was the last lesson before lunch. “You’ll like what I have planned for today,” Mrs. Black insisted. “We’re going to do some freestyle painting. You can paint anything you like- a scene, still life, portrait, abstract or whatever you fancy. Just make sure you finish it by the end of the lesson, because I’m going to go around and judge them all when you’re done. I’m going to pick the painting I think is the best and….it’s going to be displayed in the new art gallery down town.” There was a murmur of interest at this. The new gallery was very modern and rapidly becoming a cool place to hang out at the weekends due to the trendy cafe on the top floor overlooking the water. Those truly interested in art would give anything to have their artwork displayed there for everyone to see. I smiled to myself, remembering the compliment Mrs. Black had given me about my portrait last lesson. I had a pretty good chance at this. We all got out our equipment eagerly and got started. I stared at the blank canvas for a while, willing an idea to materialise, but nothing seemed to come. I glanced sideways and saw that Scott and Rachel were already daubing colourful paint onto the canvas. Eventually I came up with a brilliant idea- I would paint the vase of daffodills in front of me. I reached for the bright yellow paint and began splashing away. Every now and again I glanced across to see what the others were doing. Scott was drawing a car-it looked very square and average. I couldn’t tell what Rachel’s was even supposed to be. It just looked like a lot of random splodges to me-something that my little brother could have done at playgroup. I smirked to myself. This was in the bag. Finally, five minutes before the lesson ended, Mrs. Black got our attention and told us to stop what we were doing. I stood proudly next to my sunshine yellow canvas, the flowers popping out cheerfully. I was really pleased with the effect. Mrs. Black circulated the classroom pausing to look at each painting in turn. She paused a long time to look at mine, but her expression was unreadable. Eventually she returned to her desk. I snorted loudly, believing she was being sarcastic until I noticed that everyone else was clapping, and I joined in, clapping slowly in disbelief and protest. It didn’t even look like anything! “Everyone pack your things away now, you can leave your paintings to dry here over lunch.” Mrs. May announced. Miserably I began to throw everything into my bag. “Okay, if you’re sure…” Scott trailed off, sounding worried. “I’ll see you later.” I said pointedly and they waltzed away together without a backward glance. I didn’t really have things to do. I had no clubs to attend, no other friends to hang out with. The truth was that as I had packed my things away angrily a nasty thought had occured to me. That Rachel De Montford thought she was so great- just because she had rich parents who could afford to buy her designer clothes and buy her into posh universities. Well I wouldn’t give her the chance to be big headed about this. Art was my thing, and whatever Mrs. May thought Rachel didn’t deserve to have her stupid painting in the gallery. I was alone with all the paintings now, no one would notice me if I made a few adjustments to it…I chuckled wickedly. It would serve her right for being such a stuck up little cow. Ten minutes later I jumped as someone called my name. Scott walked into the room, looking concerned. “Trina, what are you doing in here? I was looking for you. I thought you’d gone down to the canteen but I couldn’t find you, what are you doing?” His eyes wandered to the canvas beside me. It was a solid block of colour-bright green paint oozing off it and dripping to the floor. “What is this?” I had to think fast. I put on a face like I was upset. “Oh Scott, something terrible has happened! I was on my way to the canteen and then I remembered I’d forgotten my pencil case, and when I came back I found this! Someone has sabotaged poor Rachel’s painting.” I said, willing fake tears to well up at the corners of my eyes. “She’ll be devastated. Who would do something like that?” Scott didn’t speak for a long time. “A very sad person.” he said slowly, and he looked up at me with an expression I will never forget. It was like anger, disgust and pity all rolled into one. “What…I? You don’t think I would…?” I stuttered, my face flushing. I opened my mouth to deny it but then closed it again. What could I say? “We’re going to get Mrs. May now.” he said firmly. “You’re going to explain to her what you’ve done and whatever crazy reason made you do it and see if she has got something that can clear up this mess before Rachel comes back for it.” his tone was cross, like a parent disciplining a child. I had never seen him be so serious before. Scott looked down at his shoes. “You’re not the person I thought you were Trina.” he said sadly, and then walked away, leaving me standing there staring at the bright green canvas. It was the colour of sickly pus. It made me nauseus and I backed away from it as if it could infect me. What had I done? What did you think? Have you ever been really envious of someone and did it have any negative consequences for you? Just to say, I received my notebook, thank you so much-it is lovely.